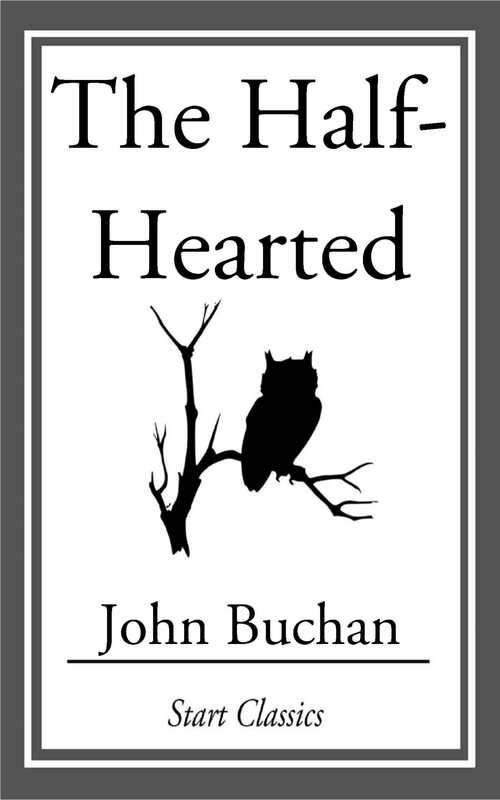 To say that Mr. John Buchan's novel, The Half-Hearted, is a "psychological study," would be to arouse in the breasts of many novel readers a dark, but unfounded suspicion; to describe it as a splendid story of adventure would be paying tribute to but a part of its sterling merit, for it is a book far above the average, out of the common in conception, and very well written. Englishmen have been warning each other for some time against possible dangers at home and abroad, and this novel, whether that danger be imaginary or not, will probably be taken into consideraton as one of the ablest efforts in this direction, whatever be the need of its cry. But it will hold the attention of readers on this side of the Atlantic as well, for, apart from its purpose, it tells an excellent story, well bred in its early chapters, with the stamp of the true breeding of the English upper classes, remarkable for its descriptions of the Scotch country, while in its closing episode it tells as vivid a tale of intrigue and adventure as we have seen in many a day, closing with a critical episode in the history of England in India—a bit of prophesy and phantasy that is based so firmly upon present-day political possibilities that it may well be accepted as true.